Berries Have Even More Health Benefits! You probably already knew that berries are among the healthiest foods on the planet, and can contribute to everything from a healthy immune system to better eyesight and metabolic regulation. But did you know that scientists have recently discovered a range of new health benefits of berry consumption? Simply eating a handful of berries won’t cure disease. However, as these and other studies have shown, concentrated doses of the health-giving compounds of berries can have a significant effect on many diseases. This means, researchers believe, that incorporating additional and larger servings of berries into a healthy, balanced daily diet can help prevent certain diseases from developing in the first place, or from getting worse. 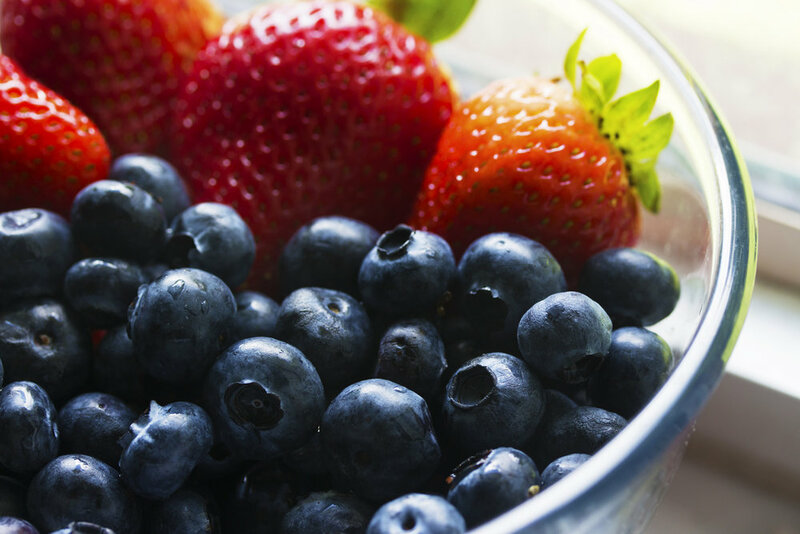 Visit our recipes (both savory and sweet) for ideas on how you can make berries a regular—and tasty!—part of your overall nutrition plan, and reap the health benefits. Older PostWinter Doldrums Got You Down? Give Yourself a Berry Boost!